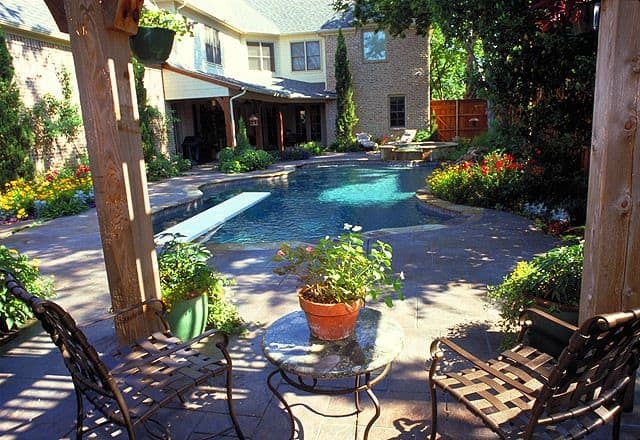 Outdoor living spaces help you make the most of your North Texas property throughout the year. From swimming pools to outdoor kitchens, fireplaces, and firepits, Summerhill Pools can handle all of your outdoor living needs. Our experts will help you design the perfect space for enjoying the outdoors, whether you just want a swimming pool or a complete outdoor living area that includes a cozy fireplace and a kitchen. We look forward to providing you with an outdoor living space that the whole family can enjoy. Let’s get started on creating a backyard an oasis for fun and relaxation. Contact us! If you aren’t quite sure about what you want, our experts can help you design the ideal swimming pool for your yard. We handle the entire project from the pool design process to construction so that you end up with a high-quality pool for everyone in your family to use in warmer weather. When you want to do more than just fire up the grill, an outdoor kitchen might be what you need. An outdoor kitchen lets you prepare an entire meal in the fresh air and is ideal for those who enjoy entertaining guests outside. It’s also great for those who want to avoid heating up their home in summer. 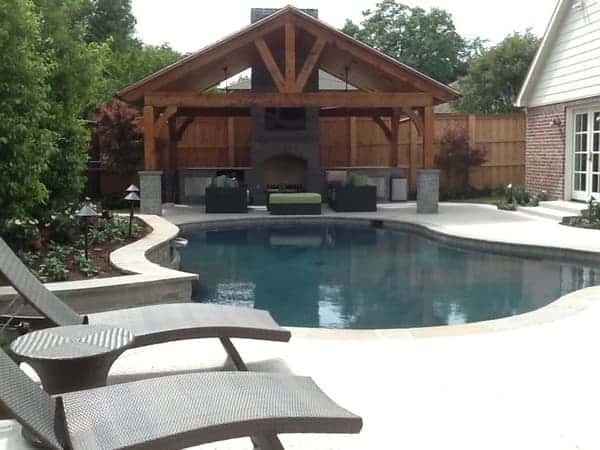 At Summerhill Pools, our knowledgeable experts can help you design an outdoor kitchen for your Dallas home that will allow you to make meals outside as often as you like. Whether you’re interested in a simple, streamlined design or want a space that’s more elaborate, we can construct the outdoor kitchen you’ve always wanted. Being cozy by the fire isn’t just something you do indoors during cold winter evenings. Outdoor fireplaces are a great centerpiece and a source of warmth on cooler spring, summer, and fall evenings. At Summerhill Pools, we have a wide range of fireplaces available for your outdoor living space. You can count on our experts to help you design the perfect one to enhance your property. When you don’t need an entire fireplace for your outdoor living space, firepits are a good alternative. They provide you with the warmth you’re looking for on cooler evenings and nights without taking up much space. We design fire pits in a variety of sizes and styles that perfectly fit your yard and needs. Summerhill Pools will construct a fire pit that you can use for fun summer gatherings or quiet evenings at home with family. Our experts will go through your options with you and help you design the perfect fire pit for your Dallas home. Imagine pulling up an app on your phone pushing a button and igniting your fire pit. Let’s get started on creating an outdoor living space perfect for your home – contact us today!